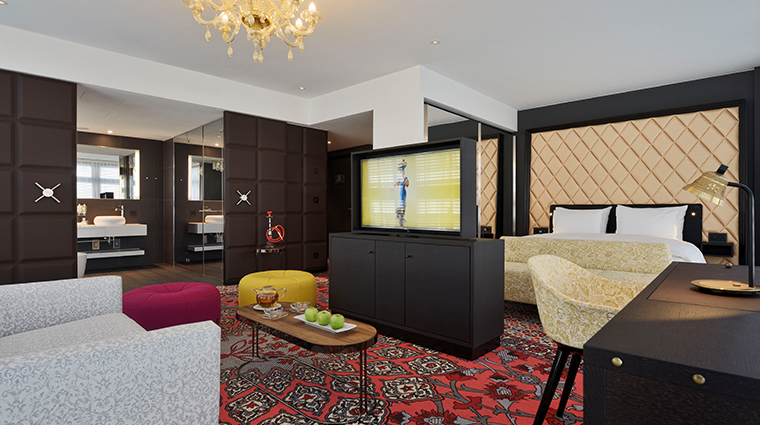 Kameha Grand Zürich is a wild and witty antidote to its industrial Glattpark surroundings. Don’t be fooled by its boxy, glass-and-steel exterior — once you step inside the unique property, you'll be warmly welcomed by managing directors Benedikt Theisen and Stefan Wurm and their helpful team. The graciously overblown wit and opulence of its Swiss-inspired interior, from the giant custom-made cowbells that hover precariously over the lobby to the chocolate-bar walls inside the hotel rooms, disarm and charm at every turn and make a visit here unforgettable. Business travelers will appreciate the hotel’s close proximity to the Zurich airport (less than two miles away) and easy access to the city center five miles away. Also on the docket for entertainment: Several bars and a luxe penthouse spa. In the lobby, instead of approaching a long counter or barrier, you are greeted warmly by smiling agents who operate from personable reception stations. 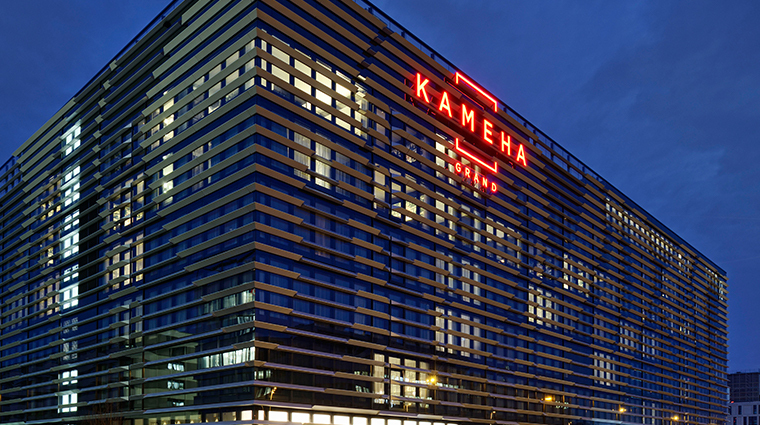 Opened in 2015, the Kameha's unique architecture and neo-Baroque design give it its wow factor and make staying here a bit of an adventure. 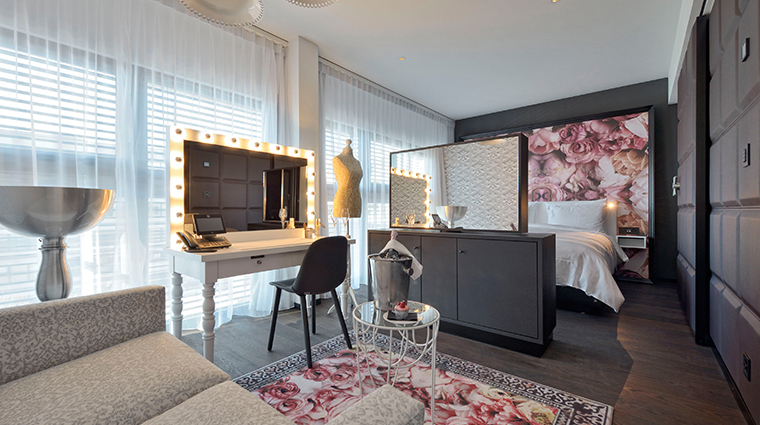 Eleven rooms are designed to indulge your fancies and fantasies; it’s an entertainment-oriented Vegas touch that is unique in Switzerland. 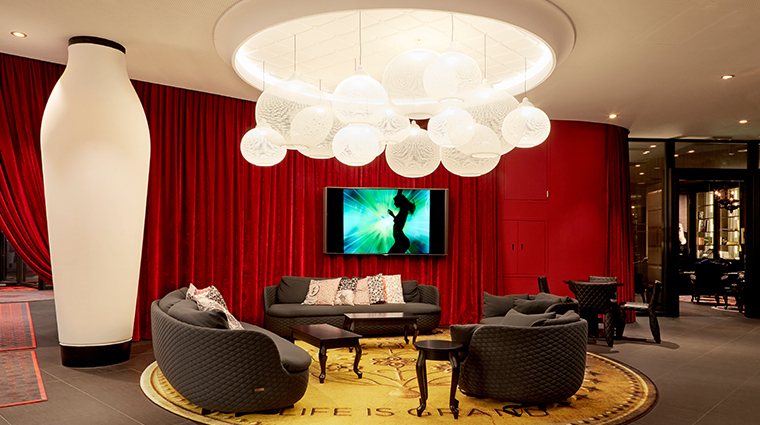 Suites have intriguing themes: Diva, Burlesque, Fair Play and Ghostwriter. They are extravagantly kitted out with poker tables, workout gear and game rooms to amuse guests at every level. The ballroom is one of the biggest in the Zurich area. Creative touches, like floor-to ceiling windows and giant black-and-white floral designs, heighten the drama. Spa-goers will love the penthouse Spa and Fitness Power House, which features four treatment rooms, a 24/7 fitness center and a spacious rooftop terrace with views of the Swiss Alps. Sightseers should know that the hotel is not in central Zurich, but the city center is a short tram ride away. 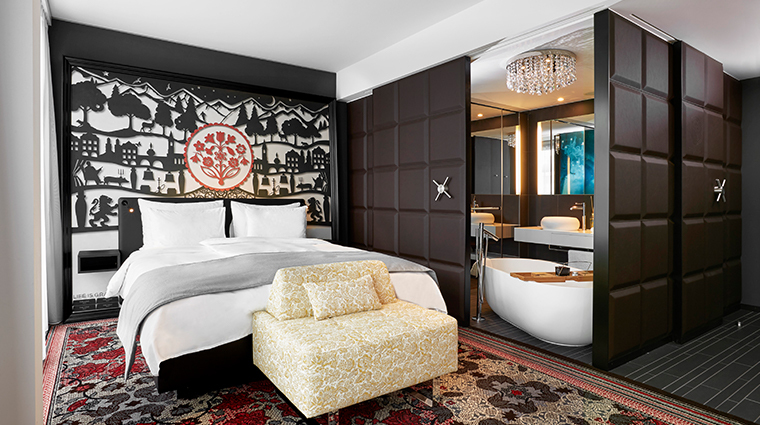 The Zurich hotel is part of the Marriott Autograph Collection with the newly introduced Marriott Bonvoy Program. Fun fact: The hotel is named after King Kamehameha, a bold, majestic and prescient leader who united the Hawaiian Islands in the 1800s. All of the artfully designed rooms feature Nespresso makers and other top-grade amenities like the Molton & Brown bath products. The 245 rooms here are anything but ordinary. Designer Marcel Wanders has created unique neo-Baroque design and technical features, like vault-encased drinks butlers, sliding leather panel doors, and in-room gyms. For a truly out-of-this-world experience, check into The Space Suite. The unique accommodation was designed to make you (the “crew member”) feel like you are living in a space station. Premium Rooms measure 258 square feet and offer either one king bed or twin beds; Deluxe Rooms are more spacious at 345 square feet and offer a small seating area. Executive Suites and Theme Suites are larger, between 430 and 645 square feet. The delightfully kitschy Restaurant L'Unico is outfitted with rounded orange banquettes, large wooden pepper shakers and beautiful tilework that's reminiscent of an Italian grandmother's kitchen. Completing the scene is a giant pasta bowl mounted on the ceiling, complete with a painted design of pasta, tomatoes and herbs. All of the pasta at Restaurant L'Unico is freshly made in-house daily. Dine on classics like spaghetti carbonara, tagliatelle with gorgonzola and spinach, and 10 different pizzas. Puregold Bar is the perfect place to hole up. By day, the stylish space serves coffee, pastries and finger foods (handy wireless charging stations make working a breeze), but after sundown, the gold-clad lounge serves up tantalizing tipples. Stop by the clubby Smoker's Lounge to enjoy a taste of the finer things. Slip into an English-style leather armchair to savor a curated selection of cigars from Cuba and the Dominican Republic perfectly paired with cognacs, aged whiskies and other fine spirits.